1053 Sweepstakes Lane Florissant, MO. 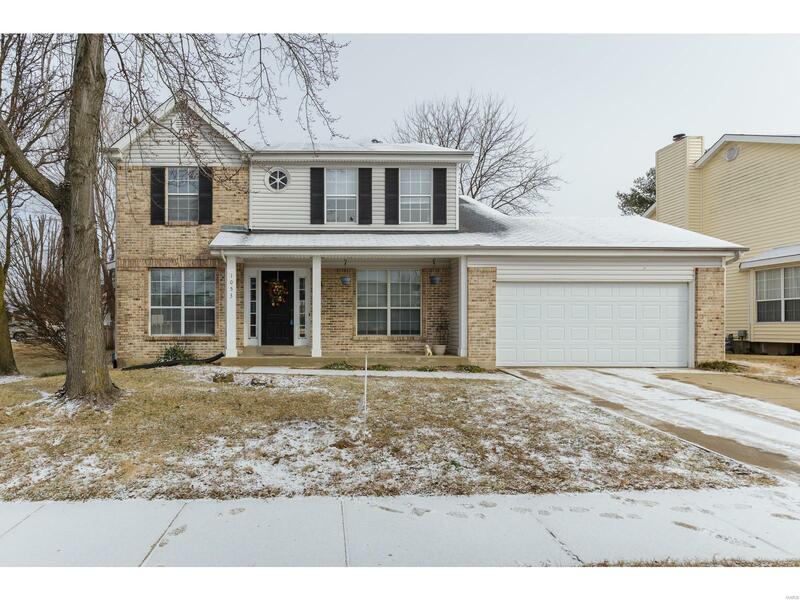 | MLS# 19004137 | Homes for Sale in St Charles, St Louis, Lincoln and Warren Counties! Looking for a Free Foreclosure List? Call Cheri Peterson 314-283-7251 Our Team is on the Leading Edge when it comes to Technology! Your Search has Ended! Located in a Sought after Location! Vinyl Siding, Fenced Yard & Nice size Patio. Step inside to find a Freshly Painted Interior w/Wood Laminate Floors that extend into the Separate Dining Rm w/Crown Molding & New Lighting, The Large Living Room w/New Carpet '19 is a perfect Spot for your Piano. The Family Rm features a Cozy Wood Burning Fireplace & Opens to the Eat In Kitchen w/Corner Sink, Gas Stove, Pantry, Built In Microwave & Plenty of Counter Space. White 6 Panel Doors & Trim. Main Floor Laundry. Upstairs you will find a Vaulted Master Suite w/Planter Shelves & a Luxury Bath w/Jetted Tub & Separate Shower w/Beautiful Tile Work, Ceramic Tile Floors & Double Sink. All new Carpet on the Upper Level 2019. 3 more Spacious Bedrooms & a Full Bath complete the 2nd Level. The Lower Level offers a REC/Family Rm w/Wet Bar area & Half Bath. Enjoy Subdivision Amenities which include Pool, Clubhouse & Tennis Courts. This Home Demands ACTION! Anything else is a COMPROMISE!